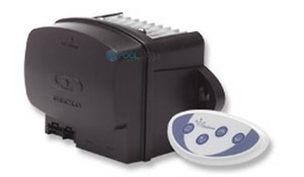 Airstreme Series of entry-level electronic controls for therapeutic baths and whirlpools. Based on our best-selling Litestreme Series, Airstreme includes a power module and a choice of keypads. Gecko's Litestreme Series features economical and compact controls designed for whirlpools equipped with water pump only. With controls this affordable, why go without?